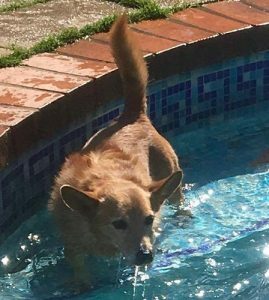 28/08/18 – Justin and Tigga have been adopted by a wonderful lady, having been spotted on Oldies Club! Congratulations all! Animal Rescue and Care present to you a cute little bonded pair of Terrier types in need of someone to dote on them again. 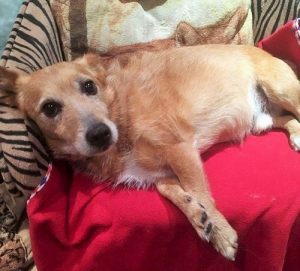 Justin is a very handsome 11 year old Terrier Cross. He’s lively, playful and a real fun loving little man. 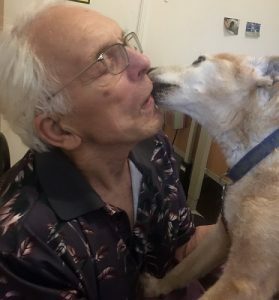 His partner in crime is Tigga, a 15 year old Border Terrier Cross. He’s a wise old boy with bags of character. 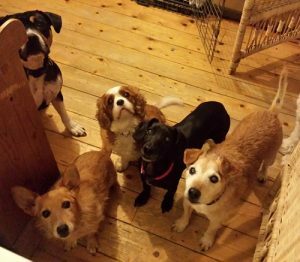 The boys are currently boarding in a multi-dog foster home in Woodham, Surrey. There’s also dog savvy cats living with them. They are very confident cats who wouldn’t even consider running, and so, Justin and Tigga don’t chase them. Such good boys! They’re clearly having a fun time but they’re used to having one person who spends a lot of time training and playing with them. They’re previous owner was a dog agility competitor, as well as a Kennel Club Judge. Justin and Tigga were just 1 win away from reaching grade 7 (the highest grade in KC agility!). It’s only through the owner’s poor health that these two are looking for a new home. They were very much loved. They are not used to children, so they need an adult only home. Tigga has some arthritis but is still keen to have a little potter. Justin is fit and healthy and could pass for a much younger dog. They’re very good boys car and in the home. Both housetrained, but Tigga needs to be let out fairly often these days or minor accidents can occur. Both are health checked, neutered, microchipped, fully vaccinated and adorable! Please say you saw Justin and Tigga on the Oldies Club website.